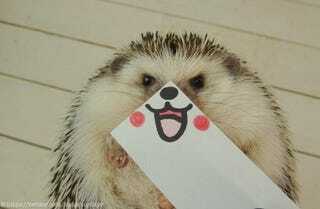 You might not think a hedgehog can pull off impersonations of, say, a dog, a bear or even Pikachu. Then again, you might not have met Marutaro the Hedgehog. Bakabon's Papa from the famed manga and anime Tensai Bakabon. Dale from Chip 'n' Dale. And in case you missed it, here are some adorable hedgehog Instagram pics.